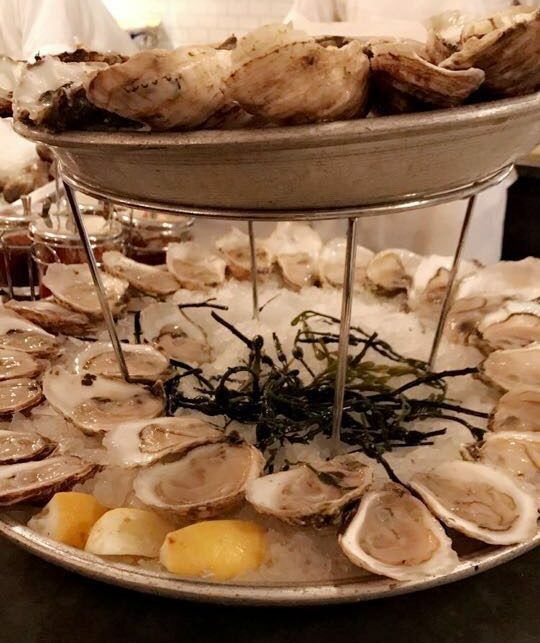 $1 oysters. Hot, steaming bialys crammed with mouthfuls of cream cheese. 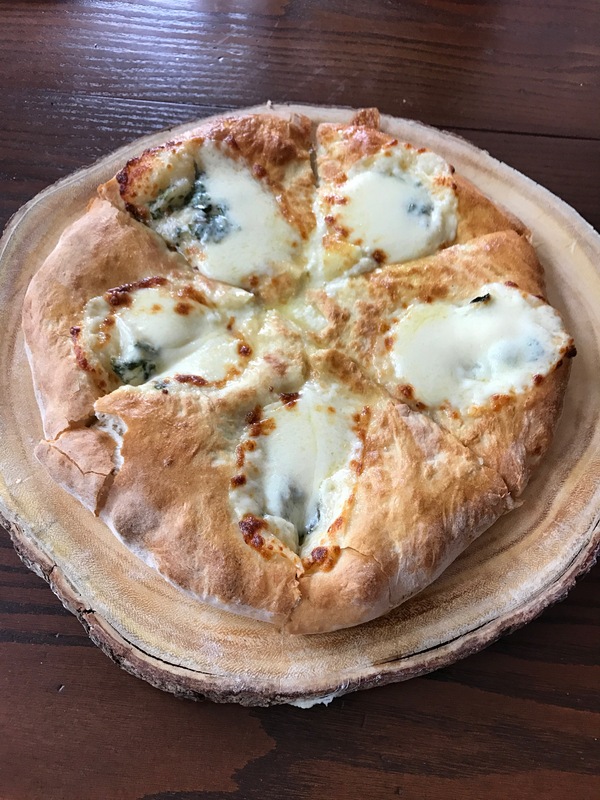 Garlic, soft bread crammed with warm gooey cheese. Read on for a list of some of my absolute favorite places to eat in New York. 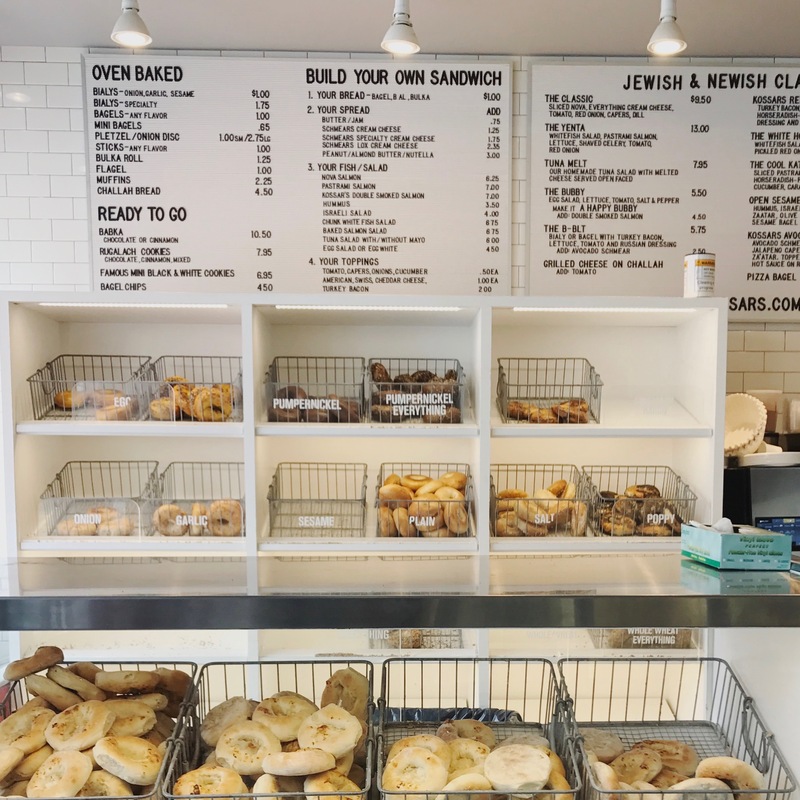 Kossar’s Bakery & Deli: Bialy – A bialy is kind of like a bagel, but yummier. My favorite place to get them is at Kossar’s, which is located on Lower East Side’s Grand Street. They toast their bialys until the outside is soft and warm, and the inside is satisfyingly crunchy. Then, they cram the bialy with tons of cream cheese so each bite is filled with savory goodness. *Fun facts with Deanna: A bagel is different from a bialy because bagels are boiled before they’re baked, which gives them their rubbery texture. But, because bialys are simply baked, the outside is very soft and chewy, while the inside is super crunchy and warm. Russ & Daughters – If you’re a fan of lox, you’ll love Russ & Daughters. It’s kind of stressful because they have a weird number system and there’s always a ton of mean New Yorkers yelling at you and trying to trick you into giving up your spot, but if you stand your ground, the lox there is so worth it. They have several different types of yummy Lox you can choose from (and you can sample them, too!) and the most amazing cream cheese spreads. 10/10 would recommend. Bibble and Sip – This is one of the cutest shops in New York. 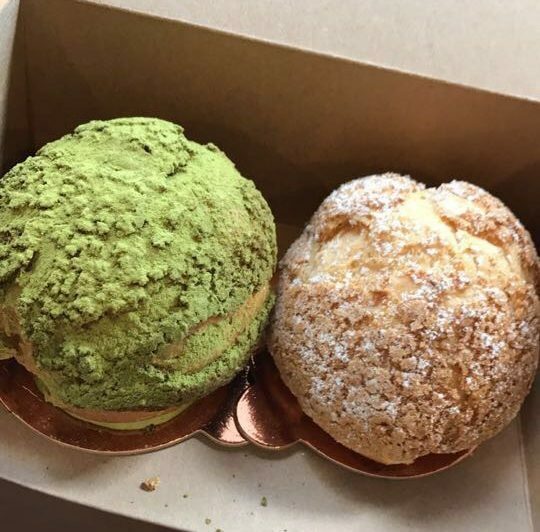 Everything here is so aesthetically pleasing and yummy, but my favorite things to get are their cream puffs and lavender latte. 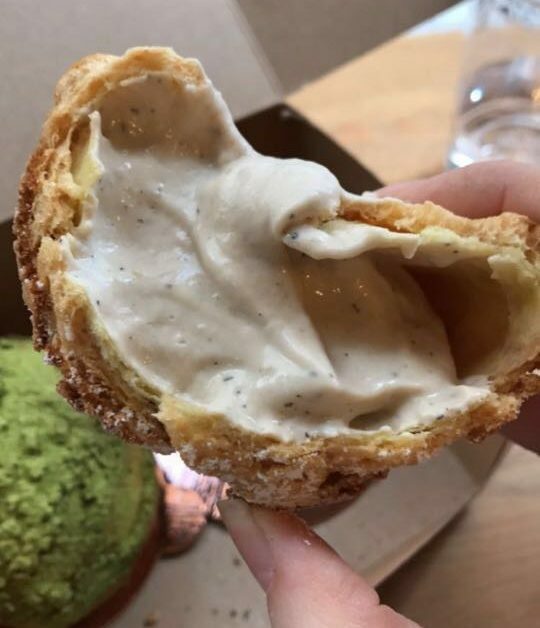 I’m not a huge fan of the matcha cream puff here (I accidentally inhaled too much and choked), but their earl gray is to die for! *Would also recommend trying their “everything croissant.” It’s a croissant form of an everything bagel, and it’s also everything I’ve ever wanted. 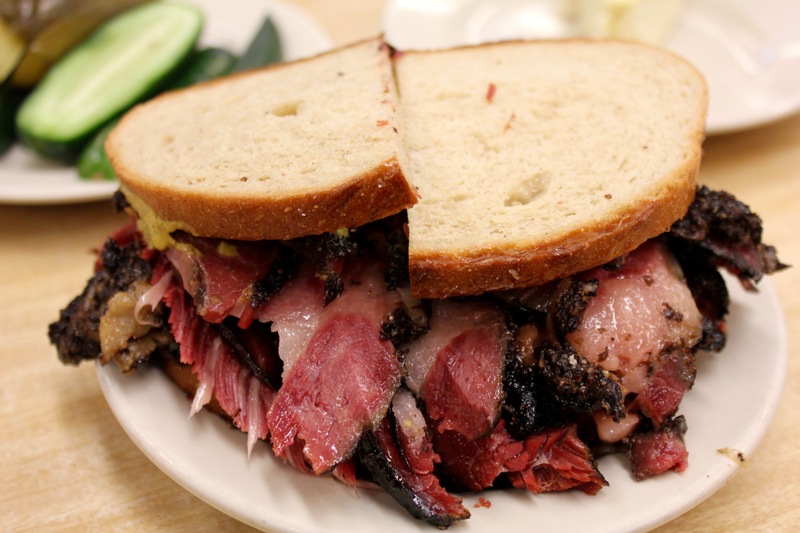 Katz’s Delicatessen: This is the most amazing sandwich place I’ve ever been to. Even though the lines can get pretty long, the stress is well-worth the wait. Katz’s Deli is super famous for their amazing sandwiches, and believe me, they live up to the hype. The sandwiches are bigger than the size of my face, and something about the roasted, soft chunks of meat make the sandwiches absolutely spectacular. Cheeseboat: This cute little restaurant is tucked away on a corner somewhere in Brooklyn. Although I didn’t really like anything else off the menu, the cheesebread was fantastic. The bread was warm and hot and slighty crunchy, and the gooey cheese was just salty enough to top it off. It was also pretty cheap compared to other places in New York. If you have time, I would definitely recommend trying this at least once. Chelsea Market: Hands down one of my favorite places to go in New York. The options in here are endless – but I would highly recommend Los Tacos No. 1. 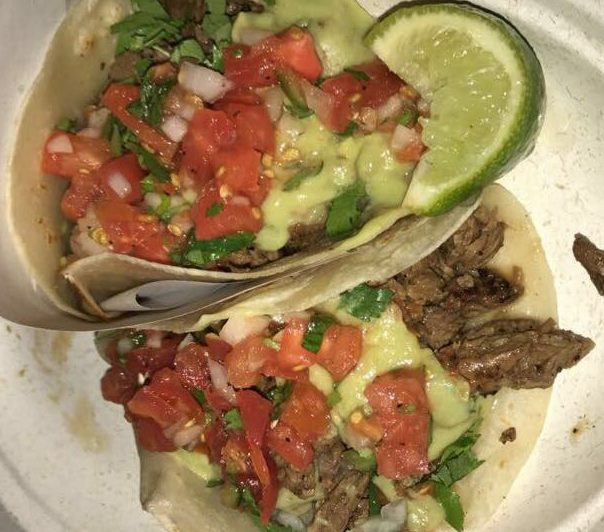 The tacos here are some of the best I’ve ever had, and they aren’t too expensive. 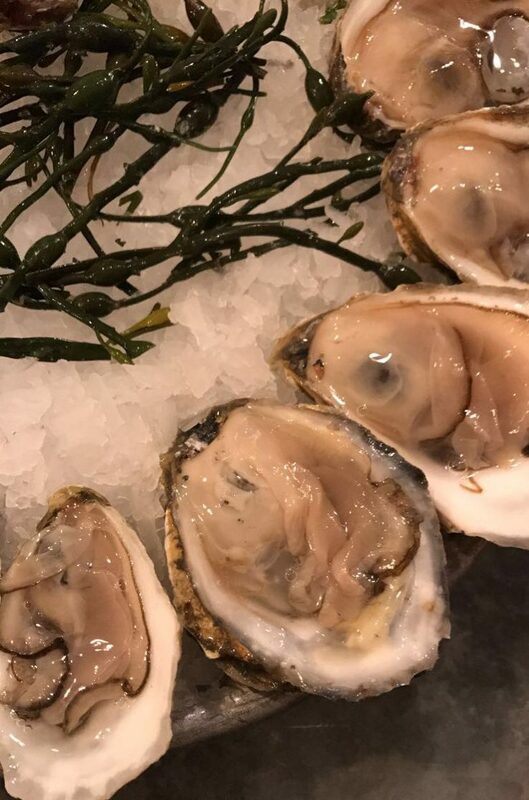 Also in Chelsea Market: They have $1 oysters at one of the restaurants, and it’s actually really good. I think it’s from 12-4 or 1-3 but I don’t remember exactly hehe. *Bonus, it’s right next to the High Line so you can drop on by and sneak some candid Instagram shots, or you can head over to the Samsung Tower and nerd out in their 4D VR rollercoaster ride. They also have some really cool photo ops there, too. 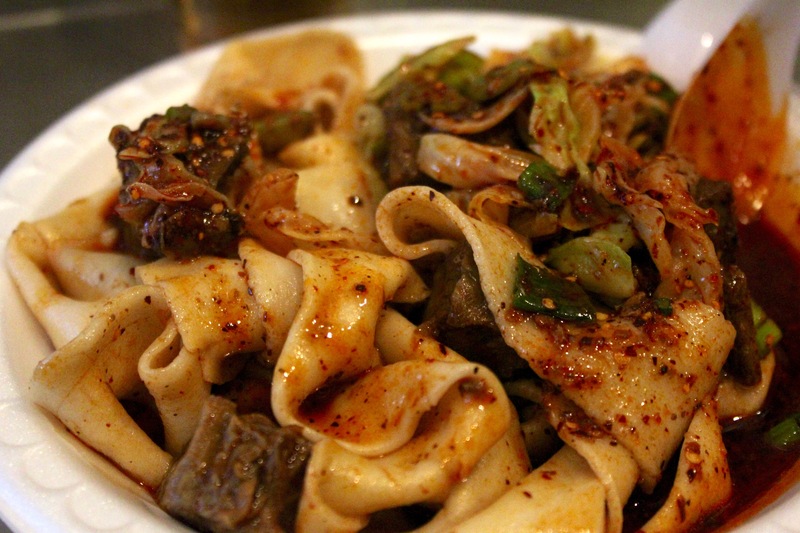 Xian Famous Foods: Xi’an Famous Foods is one of my favorite restaurants in NY. Once, I went there for lunch, dinner, and a post-dinner snack. Everything here is amazing – the noodles are so flat and flavorful and the spices they use here are so fragrant. The meat chunks are always so tender and juicy and delicious. If I could, I would eat here literally every day. 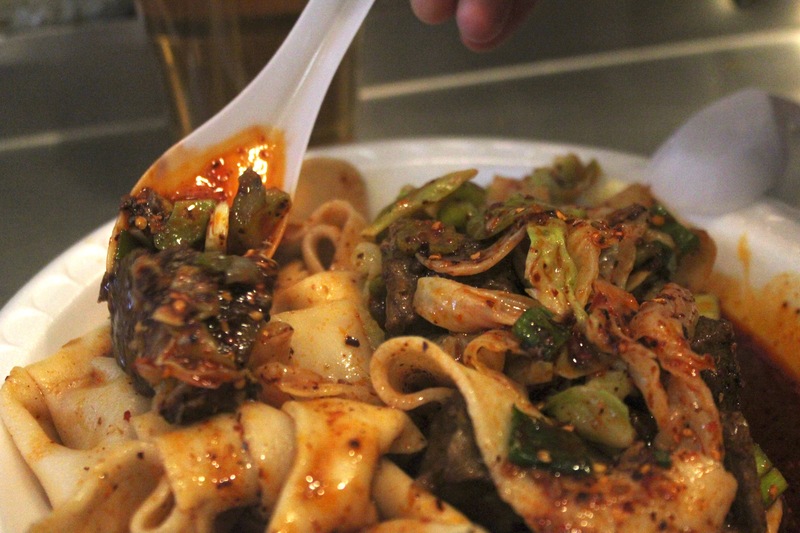 My favorite things I always, always get are beef cumin noodles and stir-fried cold noodles. Ippudo Ramen: I. Love. Ramen. So. Much. I like all kinds of ramen, and so if I’m able to declare this place as my favorite (well, so far. I still have five more places to try hehe), it’s going to be pretty good. Although, word of caution, I especially like this place because they do spicy flavors so well. If you’re not a fan of spicy, they do have other flavors, but their “bakudan” (spicy paste), is amazing. I would recommend their Akamaru Modern with bakudan. It is so delicious. 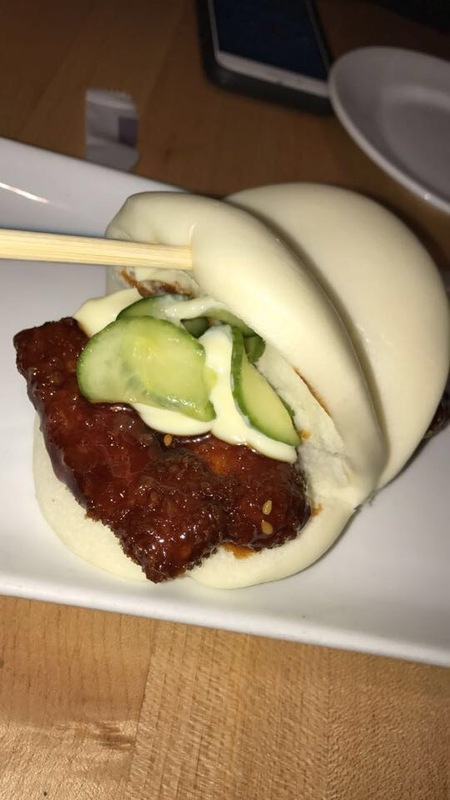 Oh, and their pork buns are really, really good. Sometimes when I’m sad, I’ll just think about the amazing meal I had here and I’m happy again! Sorry – photo of ramen not featured because I ate it too quickly and forgot. Kung Fu Tea: I used to work at a Kung Fu Tea, so I don’t think I’m biased at all when I say Kung Fu Tea Is The Best Boba Milk Tea Shop In The World. ☺ I really love their honey boba, and they make it fresh every two hours. But, I think the real reason why I like it so much is because I always get my special: White Gourd Half Oolong/Half Green Milk Tea with less ice. If they won’t let you do that, (sometimes the people in the K-Town location are annoying about it), you should definitely get the White Gourd Oolong Milk Green Tea. (FYI, White Gourd is the same as Wintermelon.) The two teas complement wintermelon so well – I know it sounds kind of weird but you should definitely try it at least once in your lifetime. Location: It’s a chain, so you should be able to find them almost anywhere. Spot Dessert: Okay, so this place is in a food court… Conveniently right abovet the Kung Fu Tea in K-Town. 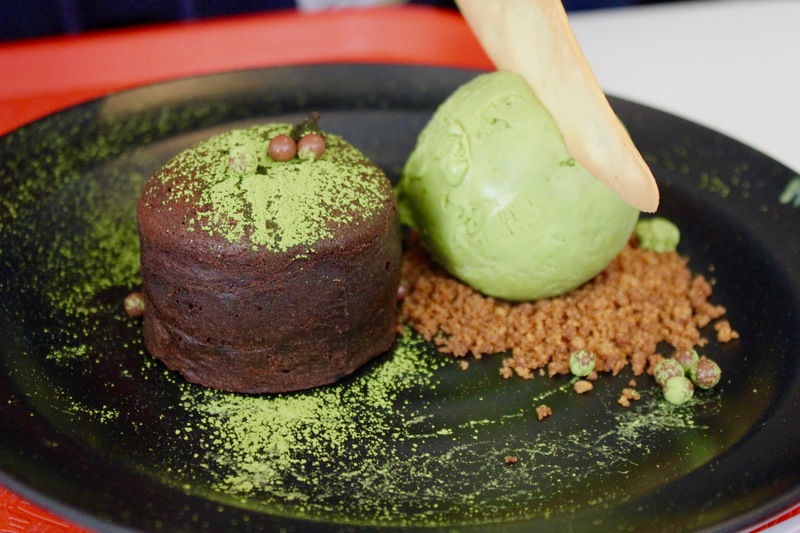 But their molten lava cakes and matcha fudge ice cream are so good. It’s the perfect way to end a long day of eating. 10 Degrees – This ice cream shop has been a huge hit and featured in almost all of New York’s ice cream lists. 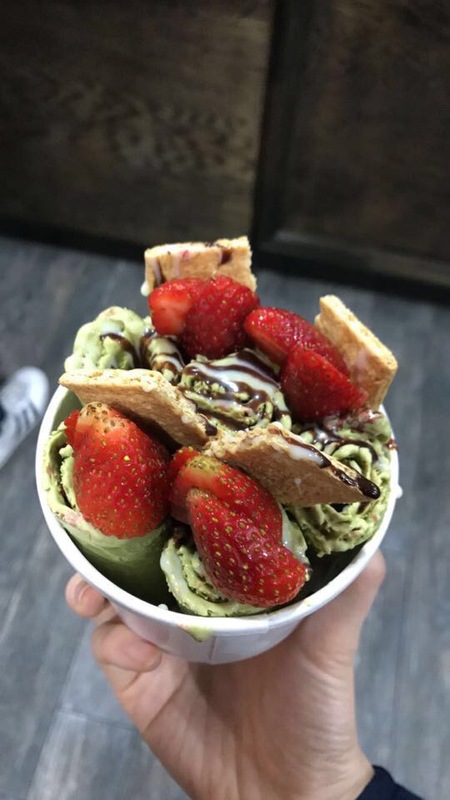 I don’t think rolled ice cream is that much better than regular ice-cream, but I’m definitely glad that I got to try it at least once. Because they mash up the ice-cream right when you order it, the ingredients they use are always fresh and make the ice-cream taste even better. They also have unique toppings that complement the flavors of whatever ice-cream base you decide to go with. Also, as a bonus, their ice-cream is so aesthetically pleasing and adorable. It makes me happy just eating it. Okay, so I definitely have other places in New York I haven’t gotten around to trying yet, but these are some of my favorites so far. Let me know if you end up stopping by some of these areas, or if there are any other places that you would recommend. Happy Eating!